New year, new me. Sound familiar? During the time between the Christmas rush and the New Year’s Eve parties, we have some time to reflect on the past 365 days. Some of what we reflect on is memories of family, friends and happy moments and some… well, let’s just say that nothing puts a magnifying glass on our personal flaws like changing to a new year! By December 31st many of us have our master plan ready for action. The laundry list of habits that we have vowed to kick and “this time it’s going to be different”. January 1st hits and the only thing stronger than exhaustion is motivation. So you anxiously put your plan into action only to follow that list less than a quarter of the way through the new year. 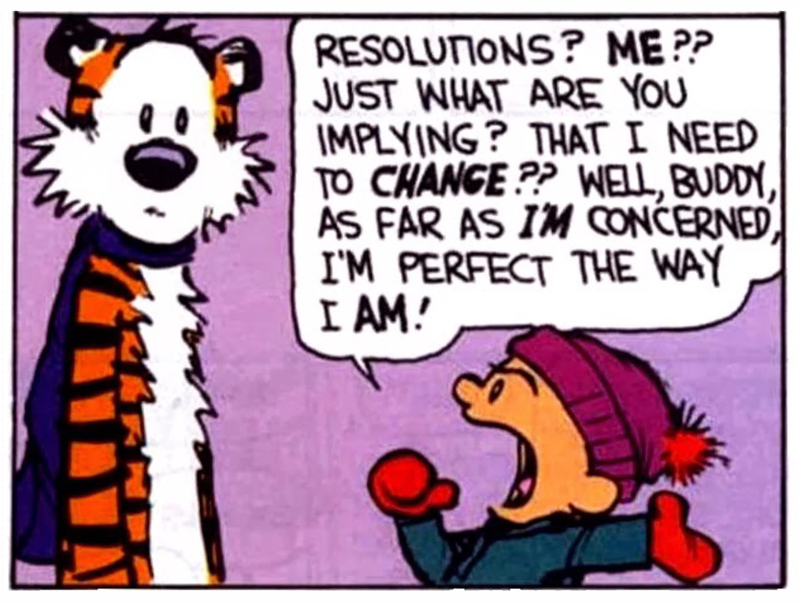 Why is it that most of the time resolutions don’t work? Maybe it’s a lack of interest to change. If you really don’t want to stop smoking or give up those soft drinks, you probably won’t. Perhaps it is that they aren’t realistic to your real life. The thoughts of “I don’t mind going to the gym at 4am before work” give way to “I don’t have time for this, I’m already too busy.” Maybe it’s the broad statement of our resolutions. We say “I’m going to be more organized this year” and expect to quickly organize every item in our lives in that moment and get started. These types of resolutions set us up for disappointment and failure. This year, look at yourself in a positive light and instead of seeing a list of flaws, see a list of successes that could be improved upon. Rather than deciding to be more organized, make a resolution to clean off your desk at the end of each day or file your emails as you read/address them and commit. When you have those things under control and feel the weight lifted, move to the next item that seems to be dragging you down. Taking smaller steps could help you achieve your goals by making them a habit, and as we all know, habits are hard to break. Or maybe you should take Calvin’s approach and realize that you may not be in need of a change after all. Maybe you are perfect just the way you are. Happy New Year!